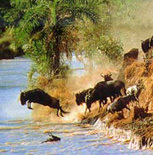 We specialize in carrying out Safaris, tours and excursions from Mombasa & Malindi. 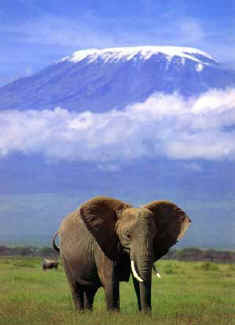 Safaris to all national parks, game reserves and private sanctuaries in Kenya and Tanzania. We can also organize Airport Transfers, Car Hire, Hotel, Lodges and Safari Camp bookings for you. NOTE: 2009 - due to the massive slump of European currencies against the dollar (these prices below were calculated at exchange rate £1 = $1.96, now it is £1 = $1.34 which means approx 50% increase in the cost in European money as park fees, game lodges etc. all charge in US dollars), please use the US dollar price as a guide.